Hosting for your WebCalendar website that just works. Servers optimized to give you the best WebCalendar experience possible. We’ll even install WebCalendar for you! We’ll move the WebCalendar site for you! Softaculous auto-installer – Install WebCalendar in just a few clicks. GD support – Needed for many WebCalendar plugins. Zend and Ioncube support – Needed for some WebCalendar plugins. 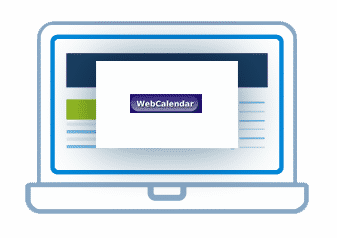 WebCalendar is a PHP-based calendar application that can be configured as a single-user calendar, a multi-user calendar for groups of users, or as an event calendar viewable by visitors. MySQL, PostgreSQL, Oracle, DB2, Interbase, MS SQL Server, or ODBC is required. 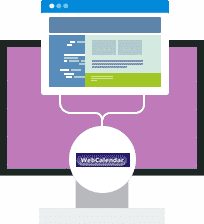 WebCalendar can be setup in a variety of ways.